Deep cleaning is hard work without a shadow of a doubt. If you decide to do it on your own it’s going to take you at least a weekend to complete. It involves lots of scrubbing, some heavy lifting, climbing up on ladders and chair to each the ceiling and so much more. Sounds like a pretty intensive workout, doesn’t it? 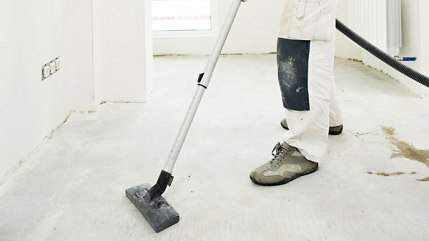 But the benefits of deep cleaning your home go far beyond keeping yourself fit. Let’s look at just a few. Arranging for deep cleaning gives you the perfect opportunity to get rid of stuff you don’t need or want any more. Everything from clothes that don’t fit any more to that old armchair that has long overdue for change. Outdated magazines, correspondence older than 5-6 years and anything that’s broken or chipped, can also go to the decluttering pile. Even though some of these items may carry emotional sentiment for you, we promise that you will feel a lot better and more positive once you remove all that unnecessary stuff from your living space. Scientists have proven that decluttered environment boosts creativity and uplifts the mood, causing you to feel happier and healthier. While we are on the health wave, one more incredibly important benefit of deep cleaning is that it protects you from the germs and bacteria settled in your home. Winter is coming and with that the flu season begins. One of the best ways keep yourself and your family from falling victim of the nasty bugs is making sure your home is deep cleaned and disinfected. To add an extra protection layer, steam clean your entire house. None of these germs stand a chance against the natural power of steam. Not only that, you will feel more relaxed, breath easily and sleep better. Deep cleaning improves the indoor air quality. Often times, especially during the cold seasons, the air we breathe at home is stale. It is intoxicated and simply put, not so healthy. Deep cleaning allows for proper air circulation in the rooms, removes old stains and all sorts of stuff that can have a negative effect on the indoor air quality. The air you breathe at home may also be badly affected by mould. It is particularly dangerous for young children, because if exposed to such environment for a long period of time, they can develop mould allergy and even asthma. Deep cleaning is a great solution to mould and built-up dirt. Let’s be honest, you know your kids can be pretty crafty in hiding the leftovers of their food. Who knows when you would have found that half a chicken nugget if you didn’t deep clean your house last year. Finally, sometimes all we need is just a little change. Maybe move the furniture around or use a different set of curtains. Deep cleaning creates a brilliant opportunity to get a little more creative and inspire a breath of new life in your home. You will be amazed how great this will make you feel afterwards. We know we got you interested in the benefits of deep cleaning your home. Perhaps you are still not sure if all the hard work is worth it, though. Good news! You don’t have to lift a finger. Keep the benefits and give us the job. Book your deep cleaning appointment now.